Bleeding heart, lamprocapnos spectabilis is a decorative shrub with fascinating heart-shaped blossoms. On their opening a white tear appears to be emerging from each blossom. The filigree pinnate foliage possesses a unique decorative effect and forms a beautiful contrast to the white or reddish blossoms. 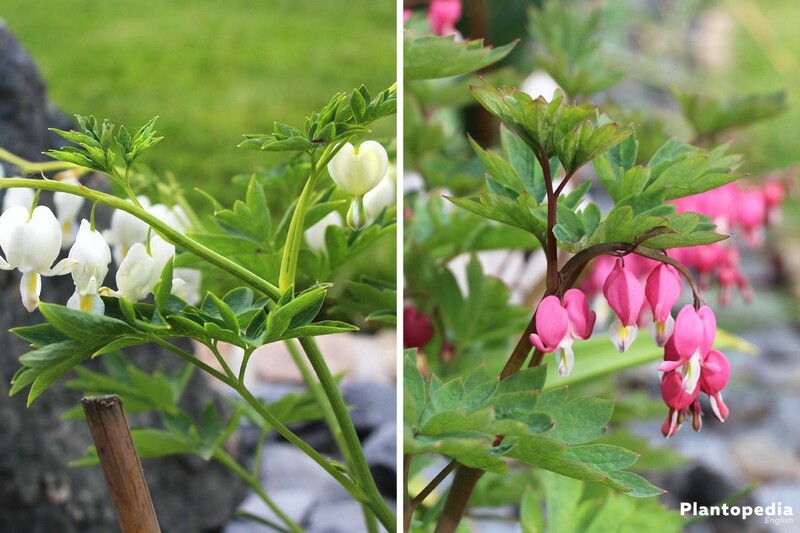 Together with roses and forget-me-nots the bleeding heart (lamprocapnos spectabilis) leaves are appealing embellishments for colorful spring bouquets. 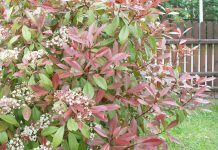 This shrub originates in the montane forests of Eastern Asia. 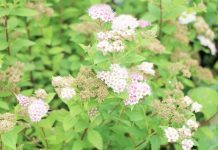 It is a perennial, persistent and herbaceous plant. The heart-shaped blossoms are situated unilaterally on overhanging flowering twigs and offer the largest decorative effect. The pinkish or white outer petals arch outwards in the lower section and thereby form the typical heart shape. A white drop-shaped petal, which looks like a tear, emerges from the middle of the heart. Blossoms and leaves adorn traditional cottage gardens, borders and pots. 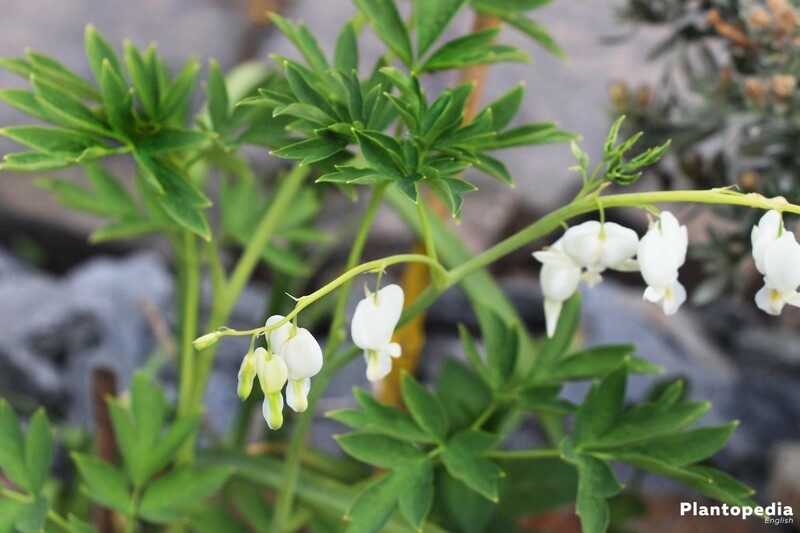 Bleeding heart, lamprocapnos spectabilis, an iconic plant, can be planted out in beds or grown in pots in which it embellishes terraces and balconies. The plant is fairly modest. Nevertheless there are various things to keep in mind in order for the bleeding heart to develop into a magnificent shrub. In its native home the bleeding heart (lamprocapnos spectabilis) grows in the medium shade of open and wind-protected forest biomes. Similar conditions are needed in the domestic garden. A bright space in the shade is ideal such as an underplanting of open woodland or a spot on the rim of shade garden beds. Unlike blazing sun a few occasional sunbeams do not pose a problem for the bleeding heart. 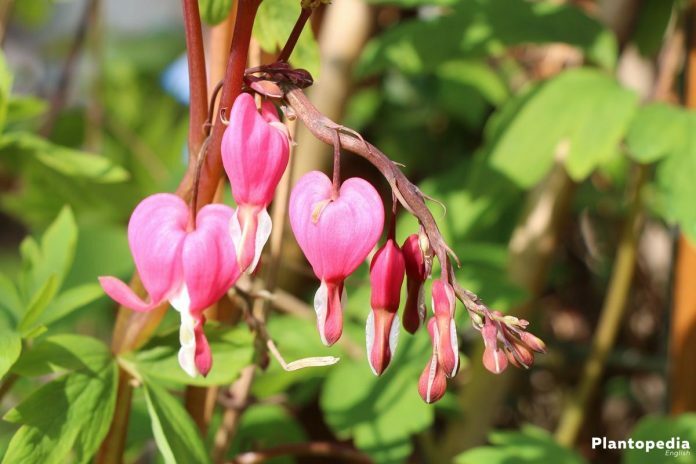 Keeping the bleeding heart (lamprocapnos spectabilis) permanently in a very bright location causes it to wither whereas older plants tolerate more sun. Full shade areas are not appropriate for the plant. As the bleeding heart likes to remain in its habitat, it is preferable not to transplant this shrub. The bleeding heart develops the best when it can grow without disturbances for many years. 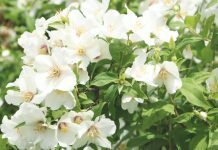 This shrub thrives in water-permeable, humid and slightly calcareous soils. The soil should be fresh and moist and possess a high water storage capacity. Chalk in the form of calcareous water has the potential to heighten the soil’s storage capacity. A slightly acid to neutral soil is ideal with a pH-value between 6.5 and 7.0. 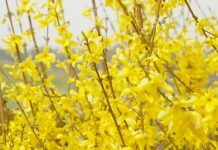 The best time for planting this magnificent shrub is in spring after mid-April. The bleeding heart (lamprocapnos spectabilis) is very sensitive to night frost. In the beginning it can be covered with or wrapped in fleece as a precautionary measure. 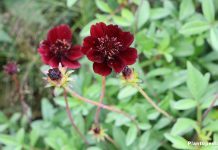 It is advisable to incorporate compost into the soil before planting the flower. This lays a good foundation for the plant. 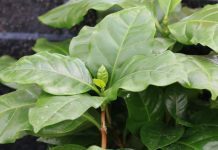 It needs to be watered directly after the planting as well as regularly in the first weeks (initial phase). If the bleeding heart is planted in groups, a planting distance of 40-60 cm is advisable so that each plant can develop optimally. 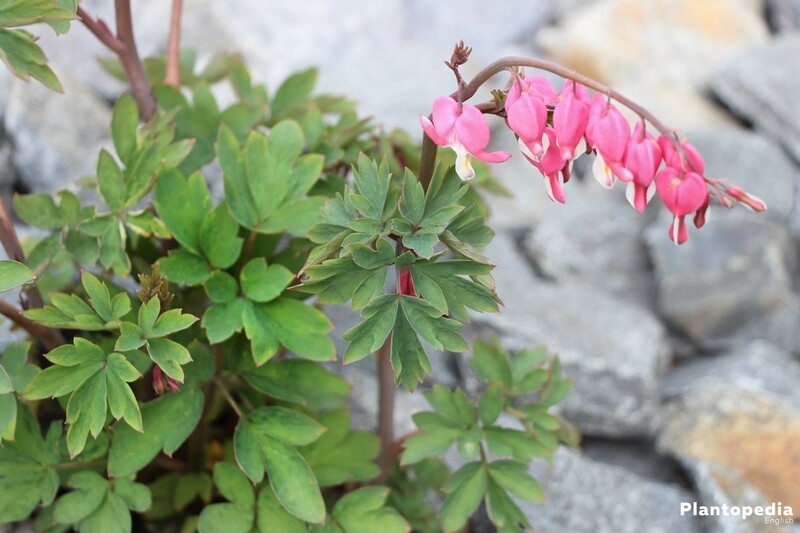 The bleeding heart (lamprocapnos spectabilis) blooms fairly early in the year. Thus its magnificent bloom age is over rather fast. In addition, the leaves turn yellow and the plant dies back to the ground. The resulting gaps after the blooming period can be concealed easily with the right companion plant. 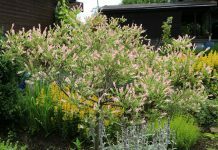 Medium-shade shrubs such as rattle root, host and columbine as well as wood asters and ferns are most suitable for this purpose. Through contact with the poisonous bleeding heart skin irritations can occur. Thus it is useful to wear gloves. 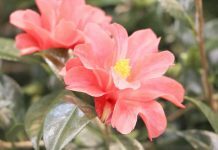 In case a transplantation of the plant is necessary, the best moment is after the blooming period. At first a planting hole is dug at the new location. Moreover, the soil in this space is aerated and mixed with compost. Subsequently, the plant is lifted from the ground without damaging the roots. Loose soil is shaken off carefully and the roots are checked for potential damage. Sick and damaged parts of the root are removed before planting the bleeding heart (lamprocapnos spectabilis) promptly at the new location. Finally, the soil is tramped down and the area is watered thoroughly. The soil should neither be too wet nor completely dry. The bleeding heart needs a consistent but moderate water supply. Preferably the plant is watered regularly in small portions rather than extensively every few weeks. Waterlogging should be avoided as it heightens the risk of root rot which could cause a loss of the whole plant in the worst case. The plant does not require a regular renewal pruning. In fact it would rather weaken the plant. Left alone the bleeding heart is highly floriferous and grows lushly. Only withered blossoms are to be removed. 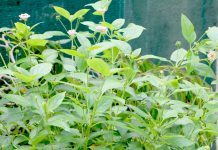 This strengthens the rootstock, encourages flower formation and prevents the plant from using too much energy for seed formation. 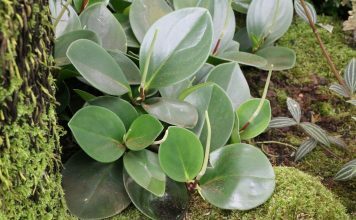 Stems and leaves can be cut off as soon as the foliage is fully withered. As long as parts of the leafage are still green, the plant draws nutrients from the leaves which are needed for overwintering. 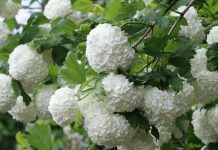 When the shrub was planted in spring, it is strong enough to survive the winter without any protection. Nevertheless it does not hurt to apply a layer of mulch to the root area. The situation is different for bleedings hearts that are planted in fall. Here night frost in springtime is particularly problematic, especially if the plant has already started to sprout. For protection it can be covered with either multiple layers of garden fleece or a thick layer of mulch or dry leafage. 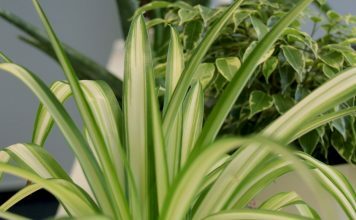 Young plants that are grown from cuttings are preferably overwintered in pots and indoors. For balconies and terraces bleeding hearts lend themselves to be kept in a pot. For this purpose the plant container should not be too small but equipped with drainage holes. A wide and deep plant tub is ideal as it enables the roots to spread out in an unimpeded manner. 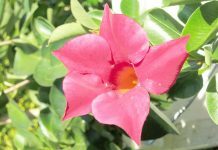 If the pot is too small, the plant barely grows and the flower formation suffers. Moreover, the pot should be made of natural materials such as clay. These have an advantage over plastic pots as moisture can evaporate more easily. Potting soil for bloomers and balcony plants is particularly suitable for bleeding hearts and should be aerated with sand. A drainage layer made of expanded clay or clay balls is to be kept in mind for an optimal water outlet. The soil in the pot should not dry up. Thus one waters the plant regularly but waits for the surface to dry before each watering. 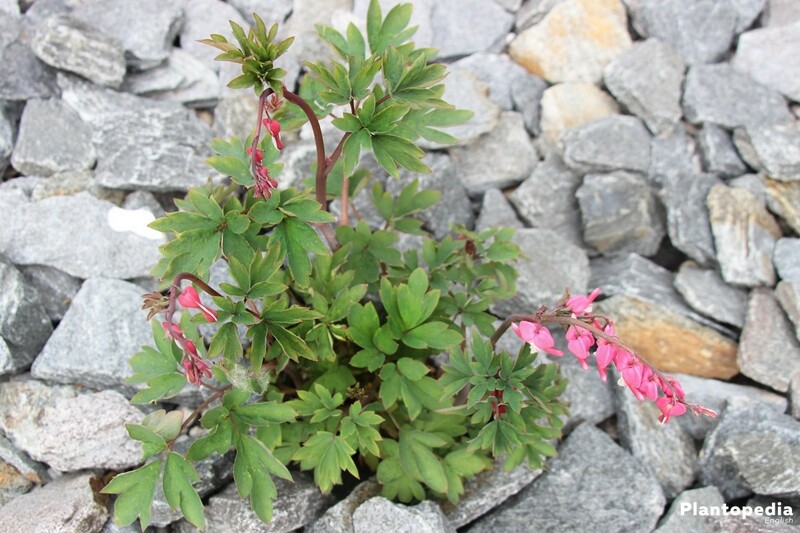 Bleeding hearts (lamprocapnos spectabilis) can be fertilized with compost or a liquid complete fertilizer. There are several methods to overwinter pot plants. 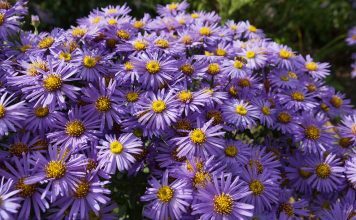 They can be overwintered in a well-lit and frost-free room or planted out in the garden together with the pot. If the outdoor overwintering is chosen, the pot should be wrapped in fleece, raffia mats or bubble wrap. In addition, the root area should be covered with foliage, compost or brushwood. The best option is to place the pot on a wooden or foam board rather than putting it directly on the ground. In the wintertime the plant is watered only sporadically and exclusively on frost-free days. Bleeding hearts are not fertilized in that period. In order to attain the needed root cuttings, the roots are partially bared on a frost-free day in late fall. 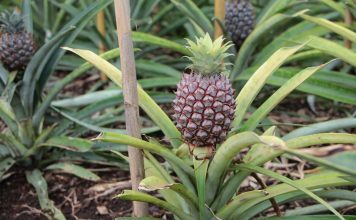 Then one cuts off 3-5 cm long segments, which are preferably thick, before immediately covering the roots with soil again. The segments are freed from adhering residual soil and put horizontally into a planting bowl with potting compost. The soil is then moistened and kept evenly damp until the root formation. After that the root cuttings overwinter at a temperature of about 12 degrees. In spring the rooted young plants can be planted in the garden. Even though a division is possible in principle, the bleeding heart is extremely sensitive to it. A division is feasible in early spring or directly after the plant dies back into the ground for dormancy. For this purpose the roots are lifted from the ground preferably without causing any damage to them. The residual soil is carefully shaken off the roots and the rootstock is split into multiple segments with a sharp knife or a spade. Each segment should have at least one sprout and a sufficient number of roots. Immediately after the division the segments are planted at the new site. In contrast to a propagation by cuttings a propagation by seeds does not produce single-variety plants. The bleeding heart is a cold-germinating plant. Thus the seeds need to be stratified. In other words the seeds are exposed to cold temperatures. This process can take place outdoors or in the refrigerator. For an exposure to cold temperatures outdoors the seeds are sowed in small seedling pots filled with seeding compost. In winter these pots are put in a sheltered place outdoors. The soil needs to be kept moist during this process. For a stratification in the fridge the seeds are combined with moist sand and placed into a translucent plastic bag. The bag is then sealed and put into the fridge, for instance into the crisper, where it remains for about 6 weeks. Soft and mushy plant components usually indicate root rot, which is caused by too much moisture. Affected plants should be dug out, rotten parts of the plant and root should be removed before the remaining plant is replanted in a dry location. For an improved water outlet a drainage layer made of gravel or grit can be added to the planting hole. If suffering from advanced root rot, the plant is past remedy in most cases. 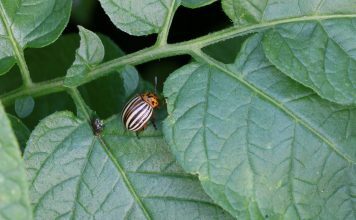 Warm and dry weather heightens the risk of a plant lice infestation. The most effective method to fight plant lice is the use of beneficial insects such as ichneumonids, ladybugs, hoverflies and lacewings. Voles can cause the bleeding heart to die back fairly quickly. 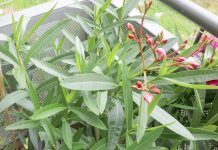 To protect it from herbivore damage, it is advantageous to plant the shrub in a fine-mesh wire basket. It is the purest form of the bleeding heart. The outer petals of the heart-shaped blossoms have a vibrant pinkish color with a white “tear” at the top. Most commonly 8-11 blossoms are arranged in form of a raceme. It blooms from May to June and reaches a height of 60-80 cm. The pure white blossoms of this strain exude an extraordinary elegance and clearly set themselves apart from the light green leaves. This plant is the “star” in combination with blue flowering plants. It reaches a height of 80-100 cm and blooms from May to June. Its blossoms are darker and more vividly colored than those of the pure strain. They are orange-red with a white “tear”. Also this strain blooms from May to June and reaches a growth height of approximately 60 cm.